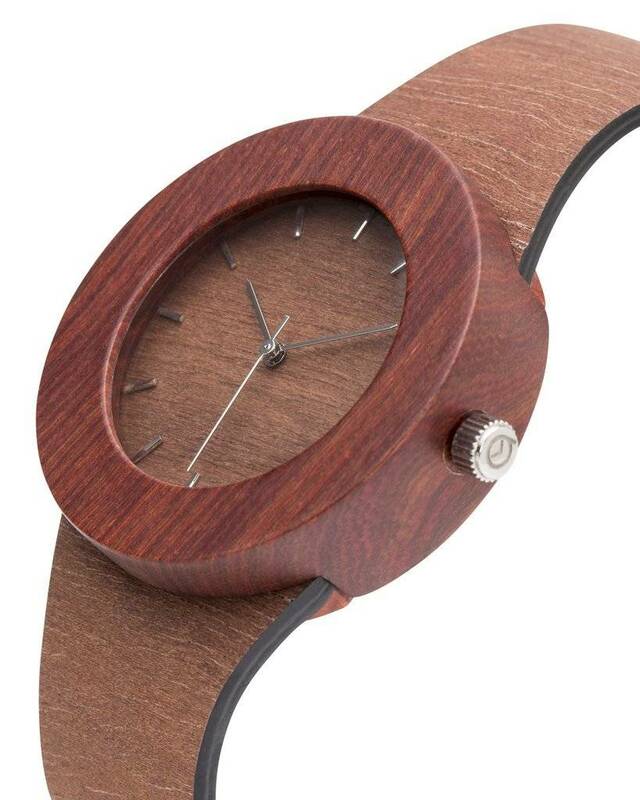 This sleek watch is as sophisticated as it is eco-conscious. 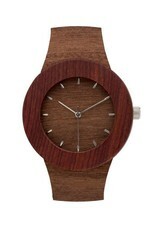 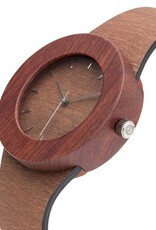 A soft and bendable Makore wood strap, backed with luxurious leather, accents a solid Red Sanders wood body. 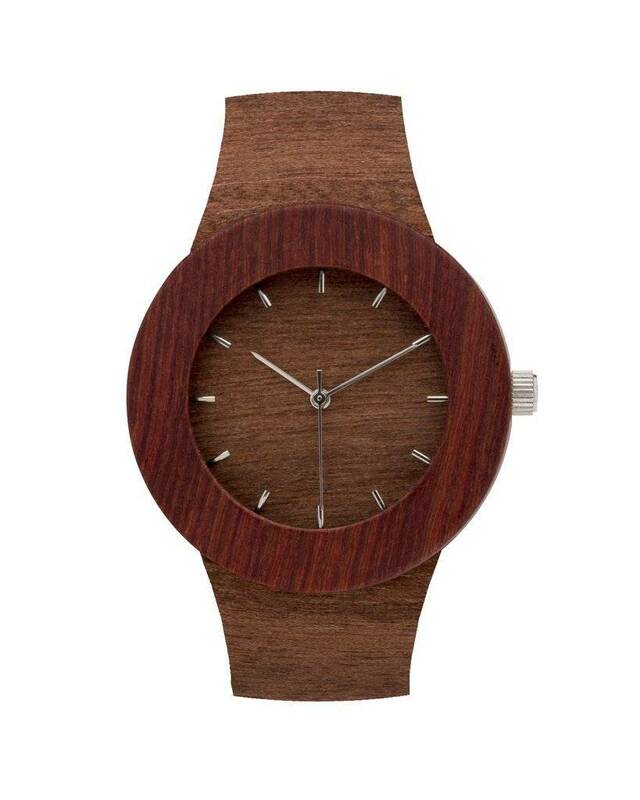 Over 80% of the watch is biodegradable and not only that but with each watch purchased a tree is planted through the non-profit Trees for the Future.